Chronic obstructive pulmonary disease includes the two overlapping clinical conditions of chronic bronchitis and emphysema, which can coexist in the same patient. A practical clinical approach is to diagnose COPD by documenting obstruction that is not completely reversible on clinical examination and pulmonary function testing, then assessing whether the patient also has a component of chronic bronchitis, that is, cough productive of phlegm at least 3 months of each year for at least 2 years. Some patients meet this criterion for chronic bronchitis before developing clinical or spirometric evidence of obstructive lung disease. The international GOLD guidelines no longer categorize this as stage 0 COPD, because of insufficient evidence that patients will inevitably progress to obstructive lung disease. 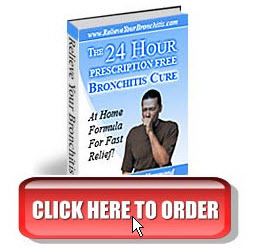 Often, patients who smoke have had a chronic smoker's cough for years and present for medical treatment only when symptoms such as shortness of breath on exertion or at rest begin to appear. The hallmark symptom of symptomatic COPD is progressive and persistent shortness of breath. Because of the built-in reserve of the pulmonary system, such functional disability often is not noticed until there is a substantial decline in pulmonary function and substantial damage to lung parenchyma. Still, the U.S. Preventive Services Task Force (USPSTF) recommends not screening routinely with spirometry for obstructive lung disease or declining lung function. Comorbidities are often present, and they must be coman-aged with COPD if patients are to have optimal clinical outcomes and quality of life. For example, CHF can eventually occur after years of elevated right-sided pulmonary pressure (right-sided failure leading ultimately to biventricular failure), or patients might simply experience smoking-related myocar-dial infarctions and coronary ischemia in parallel with their COPD. Symptomatic COPD has a powerful adverse effect on quality of life, and a substantial percentage of patients with COPD develop comorbid depression. Chronic hypoxia and air hunger can also generate significant anxiety. 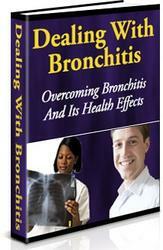 Chronic Bronchitis, Can physicians refuse treatment to patients who smoke?